The best way to explore Florida, is by renting a car. If you just want to visit Disney World or Universal theme parks, you can use their shuttle services or use a taxi or Uber. Renting a car gives you a lot more freedom at an affordable price and you can go when and where ever you want. That way you can go start shopping or looking for restaurants without being dependable on public transport. Tired of what you are visiting? Just leave whenever you want. I always recommend using a car (or motorcycle) in Florida. All rented cars feature air-conditioning, but also automatic transmissions. This is mostly different from the cars used in Europe and other parts of the world where most people drive stick shifts. If you have never driven a car with automatic transmission, don't be afraid, you'll get the hang of it very quick. Don't use your left foot, just your right foot for braking and accelerating. Even if you let go of the brake, the car starts rolling (when in 'Drive' mode), this is perfect whenever you are caught in a slow moving traffic jam and traffic rolls slowly along. With a stick shift you keep changing gears, and kicking that clutch many, many times. That gets old really fast, when you get caught in a traffic jam. Once you have driven a car with automatic transmission, you'll probably never want to drive otherwise again. - fuel delivery if you run out of fuel. 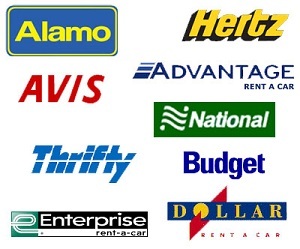 Each rental company has it's own roadside service plan, so ask them for their offered service. How big are the odds something would happen to you like this? You decide. Some people want to insure themselves for everything that can go wrong. If it makes you feel better, opt in for the roadside service plan. Please note that in January 2013 a new law has been announced in Florida, requiring all International drivers to carry an International Driving Permit (IDP) with them at all times. You need to carry this along with your regular driving license. Until now, only non-English language license holders had to obtain an IDP, but this now applies to ALL non-US license holders. This law might violate the Geneva Convention on Road Traffic, so if you get pulled over, you will probably not be arrested if you don't have an IDP. I don't own one either. More info can be found on the DHSMV website. Via Orlando Holiday Info.com it is possible to rent a car at Sunny Cars. Sunny Cars is a broker for larger rental companies with one big advantage; it offers the rental cars with an extra insurance. All rental companies tell you that you are fully insured. But tires, undercarriage, roof and windows are mostly not insured. If anything happens to those parts of the car, you have to pay them yourself. This is where Sunny Cars comes in. The prices are a little bit higher than other rental companies, but others cannot offer you this great insurance. Try it for yourself and click the link below to calculate the costs for a car on your trip! Florida uses a toll system, used on a certain type of roads (e.g. state routes, highways, turnpike). These toll booths are being automated more and more each year, which means you can't use cash everywhere anymore. When you get your rental car, most rental companies have SunPass opted-in automatically. It will be activated when you drive through the (automatic) SunPass lane for the very first time. You will pay a small fee to the rental company and they will use your credit card later on, when you have returned your car. This will mostly be done within two weeks. Be careful: Dollar and Thrifty, Sunshine rent-a-car, Penske and Ryder will ask you at the beginning of the rental period, if you want to opt-in or decline. Other rental companies have the calls opted-in automatically, WHEN used. 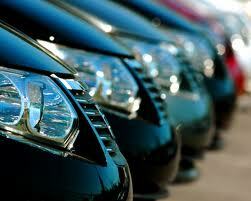 The rental companies use different costs per day and per total rental period. Dollar should be avoided, they ask $10.49 flat fee per rental day and you cannot skip days when you don't use the toll lanes. Other costs vary from $3.95 up to $8.99 per day. I would not pay more than $3.95 for it per day, like most rental companies ask for this service. 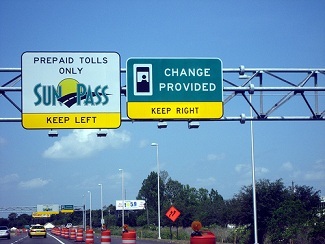 If you are planning to use toll roads more often and you think you will visit Florida more than once, it might be cheaper to buy a Sun Pass transponder or mini sticker transponder. The sticker costs 5 dollars. You register the sticker online and you can add funds to it. The sticker can be used only once and cannot be moved from car to car. Whenever your rental car breaks down and you get another car, you will also need to buy another sticker transponder. Easier, but a little bit more expensive (20 dollars) is the SunpPass transponder with suction cups. This transponder can be mounted near the rear mirror on the inside of the car. You can register the transponder online and add funds to your account. A lot of Floridians use this transponder and you can leave it in your car. You don't have to be afraid it will be stolen. Just don't forget to take it out of the car when returning your rental car. Transponder can be purchased for instance at every Publix super market. For all information (and all retailers) we recommend you to visit the SunPass website about rental cars and the toll system itself. Traffic rules in the United States can differ from rules in your own country. For example you can turn right on a red light, when possible. To do this, you must come to a complete STOP, before you turn. 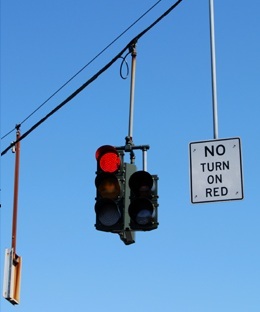 On intersections where this is not allowed, there will be an overhead sign 'No turn on red'. If you don't turn on red on an intersection where this is allowed, then you will hear a lot of cars using their horn, because you slow them down. Another perfect example is the use of a four-way stop. You need to come to a complete stop, before you cross the intersection. If there are cars from multiple directions, it's on a first come, first serve basis. This goes perfect in the USA. In my own country (The Netherlands) this would go wrong every single time. American drivers are mostly polite and easy-going, except for driving in the larger cities, that is. Also don't forget Florida's Move-over-Law. The law require drivers, upon noticing either emergency vehicle with sirens or flashing lights, to move away from the vehicle by one lane, or if that is not possible, slow down by 20 mph (32kmh) below the posted speed limit. This includes law enforcement vehicles, fire trucks and ambulances. Keep this one in mind, you will encounter this. There is too much to talk about, when it comes to traffic rules. Best is if you read the handbook with all the rules for a safe drive. Whenever you rent a car at Orlando airport, you will need to get to your hotel, villa or condo. In the video below, I will show you how to drive to Davenport (Hotelbeds Welcome Homes Center, but the video features also exit 64 to US192/Kissimmee). When you drive along the SR528, you will see a few exits to International Drive. It takes about 30 minutes to get from the airport to Kissimmee, but as 30 minutes of watching a driving video gets boring, I've set it to super-speed to show it in about 6 minutes. Not every hotel or villa is rented via Hotelbeds, but it is just an example to show you a bit of the direct surrounding of Orlando International Airport and the 528 and I-4.